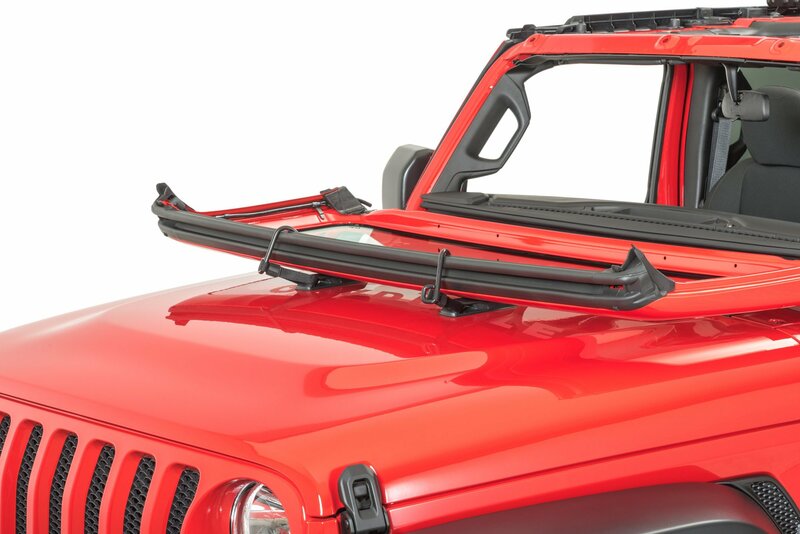 Looking to fold down your windshield frame on your Jeep Wrangler JL? 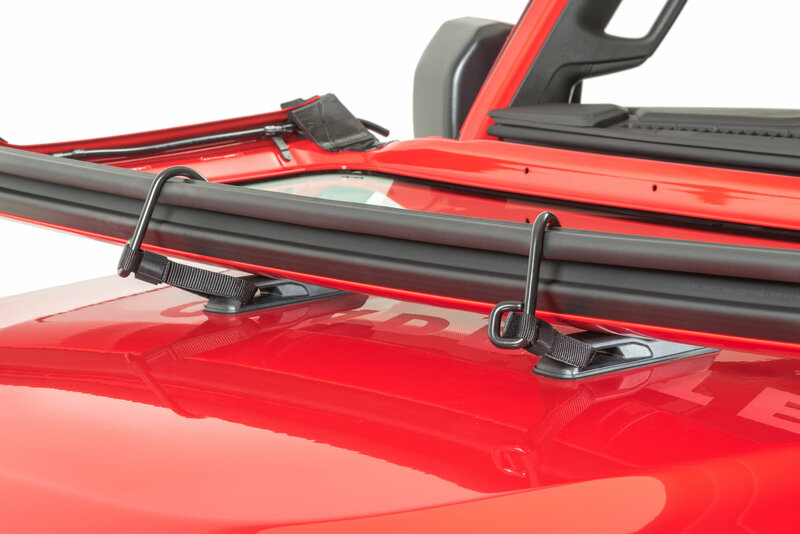 The Mopar Windshield Tie Downs will secure the windshield down to the Hood. 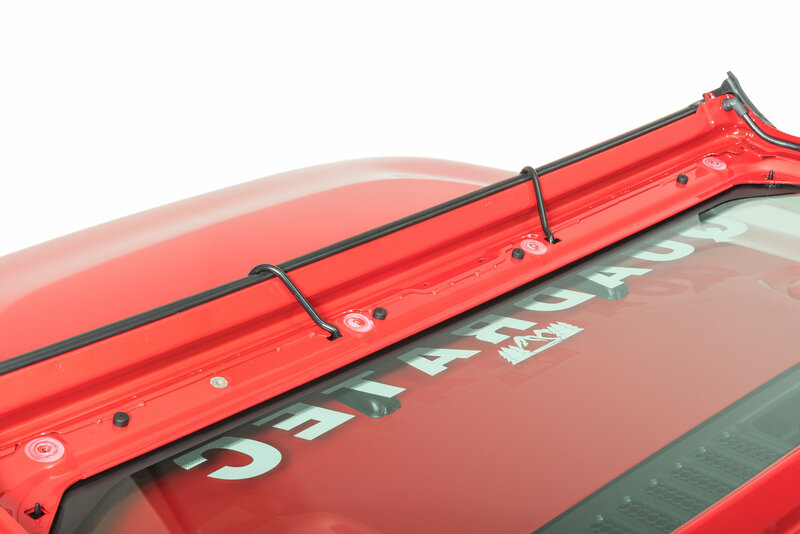 The velcro straps feed through the slots on the hood and the thick coated metal bracket tucks into a hole on the top inside of the windshield frame. Enjoy the open air feel of driving with the windshield folded down. It's a Jeep thing. Sold as a pair. Open Air Experience: The nostalgia of driving with the windshield folded down feels like no other. Enjoy your JL by experiencing all of its features and the open air feeling. Enjoy the freedom that gives you. 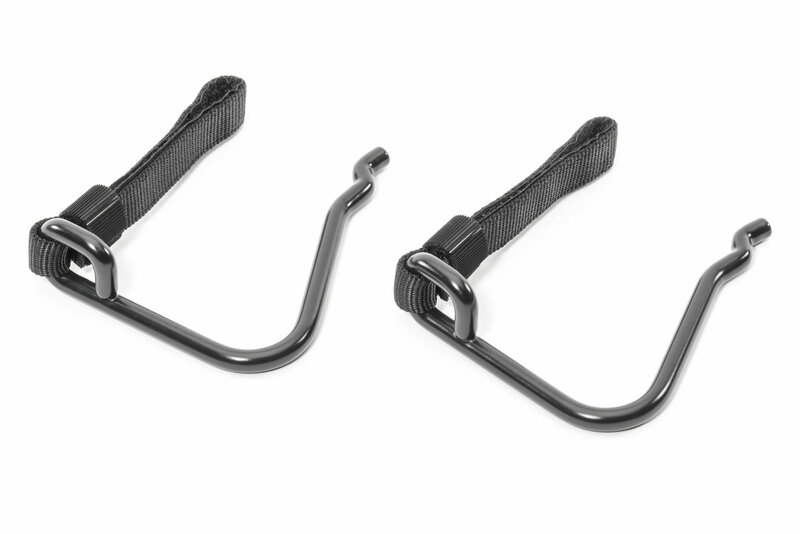 Factory Option: Mopar has custom engineered this for your Jeep Wrangler JL. Note: Be sure to adjust the Velcro tight so there is no play. This will help to prevent the windshield from bouncing.